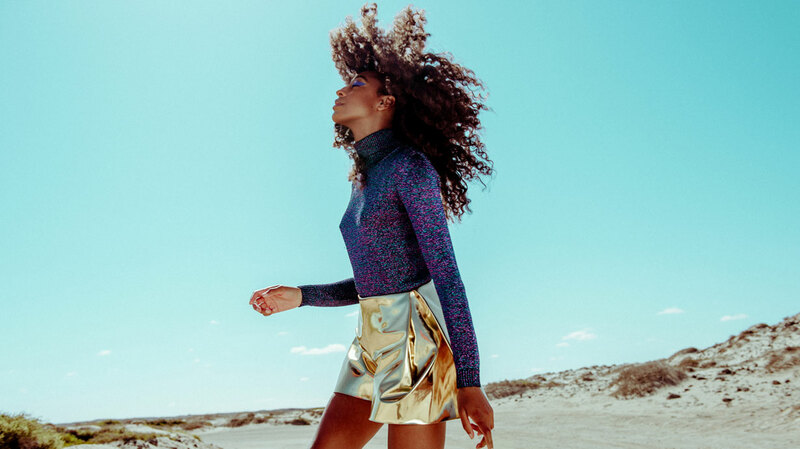 After six years out of the spotlight, Leeds-born singer-songwiter Corinne Bailey Rae is back with her third studio album. Here, the two-times Grammy-winner explains how dreams helped inspire The Heart Speaks In Whispers, and discusses her forthcoming tour with Lionel Richie. Congratulations on a gorgeous performance on Jools Holland. Thanks, it was a thrill. I love Jools Holland. I’ve done the show a few times now and every time is just so special. Did you have any time to chat to Elton John? I did! He arrived by helicopter. I was just having my make-up done, then I heard this massive noise and thought, “Are we by a train station?” Suddenly it got really loud and the make-up artist said, “It sounds like something is landing on the building,” and there he was, wheeling a suitcase, dropping in for the show, then he was straight back out. I love Elton; he’s been a big supporter of mine from the very start. He sent me a box of champagne when I had a record at number one and he is just a really good supporter of lots of different artists. It was really good to talk to him, and he said he’s got my album in all of his different houses, so I was happy about that! 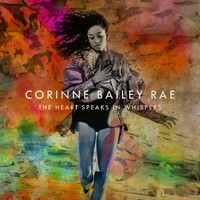 The Heart Speaks In Whispers a very elegant, dreamy album, and incredibly emotive. What sort of headspace were you in when you were writing it? I guess I just wanted to explore. I was just writing songs and I didn’t really know what they would be for, and I didn’t know what they’d be like. I felt like they came to me in fragments; I’d get this piece and have to work out what I had to do next. They came about a lot through dreams: something would happen or I would see an image in my dream, or I’d get these lyric ideas and I’d have to scribble it down. So the writing came about in a really natural way. I feel like the record came about through exploration. It was a big period of transformation for me: of coming out of a difficult time into a time of joy and rediscovery, and of being more aware of myself and my own feelings, and growing in confidence. It was just a really positive album about hope and joy and newness. I feel like that spirit really came into all the songs and really directed the feel of the album. Where you can control what’s happening? I think I’ve had that before, where you can say, “I want to do this in this dream.” I feel like I have quite vivid dreams, and the imagery and the feelings I get in dreams really stay with me. The sense of emotion is really powerful; it’s almost the same as real life. I think dreams are really important to create things but they’re also really important at letting us know what’s going on inside. Sometimes you have dreams where you’re really anxious – you know the famous one where you’ve arrived at work with no clothes on or whatever – and sometimes you don’t even realise these things in your waking life, but your dreams are telling you, “Look: you’re worried about this, you’re excited about this.” They help you to tune-in with your inner self. So much of the time I think our attention is taken outwards, and it’s all about what everyone else is doing; what is Kim Kardashian doing, what can I buy, and how am I going to get a new car, and all of that stuff. But we are at the centre of our universe, and I think that we all can take more time to get to know ourselves, and listen to those inner voices. Do you feel like you’re more in tune with yourself now? I definitely do. I feel like I’ve learnt to do that after these past few years. There was a time when I was really always focused on the future – what am I going to do and when am I going to do this – and I also feel like there was a time when I was really in my head. I was always thinking and scheming, and I wasn’t thinking about my body and I was ignoring the sensual part of my life. I think when you work really hard for yourself, you sometimes forget to eat and you don’t get enough sleep, all those things make such a difference to you. I’ve really enjoyed this last few years of getting into my body, and being in LA in the sunshine, swimming, doing pilates, walking around in nature and feeling the wind on my face; all these things which really chill me out. I think these are a really important part of being alive. It’s easy to forget that when you’re locked in the workspace, feeling like you’ve got all these targets. I think learning to enjoy the present is the secret of life, because otherwise you’re never really living. That song on my record, ‘Stop Where You Are’, it’s really about being in the moment and taking a moment to ritualise and celebrate your life now. That’s become an important thing for me, recognising that “now” is good, instead of waiting for everything to be perfect. That must be difficult, when you’ve had people asking you when your next album’s due for the past six-ish years. It’s funny because people say, “Oh you’ve had a six-year break,” and I think gosh, I haven’t even had a holiday in that time! I’ve just been in my music, but it’s such a joy for me to do. I love writing songs, and I love writing for other projects and I love producing music as well. Yeah, it definitely has been a long time, and there was a time when I wished it hadn’t have taken so long, but now I recognise that I actually loved every second of it. I loved agonising over the songs, and thinking, “How do we make this better, and who do we work with?”, or, “Should this be faster or slower,” or, “Should it be different instruments.” I really enjoyed trying to work on that puzzle, and now that it’s done, it’s great to stand back from it and just be really proud of it. I feel like I’m the kind of artist who wants to wait until I’ve got something to show to people. I’m not thinking of having a product in the marketplace, and turning everything around after two years. I really want to wait until I feel like it’s special, and at this point I feel like it’s special to me. I hope that other people are able to connect with it too. Besides ‘Stop Where You Are’, do you have a particular favourite song on the album? I love the first song on the record, ‘The Skies Will Break’, because I love how hopeful and positive it is. It’s saying the skies will break for you, the waves will part for you, the seas will rend. That’s what I feel for everyone going through really difficult times: it won’t always be that way. It’s something I’ve experienced, and I like hearing it in a song. So you’re going to be touring with Lionel Richie this summer, right? You must be excited! I know! I was so glad to get that. We were playing at this event around the Grammys and it was a tribute to Lionel Richie, so I got to perform some of his songs. Questlove from The Roots and Pharrell were there, so I guess he heard me at that. I’m really honoured that we’re going on tour with him to all these massive venues all over the UK, and places that I’ve never played before like the O2 arena and the Eden Project. It’s going to be great because I’ve never played in front of that many people so many nights in a row. I can’t believe I’m going to be standing on that stage! He’s had quite a resurgence since Glastonbury. I loved how much the Glastonbury audience got into him, because there was a lot of talk beforehand, like, “Are people going to know his music?” or, “Is this going to be his crowd?” But he’s got this universal appeal, because he sings about stuff that everyone goes through: love, loss, his parents, respect for his partner. It’s stuff everyone can relate to, really heartfelt love songs. He’s obviously done a lot of gigs, but he was having a great time and the crowd got into it. We’re playing Glastonbury this year as well, and it’s that feeling when you don’t care if it’s raining, you just go for it. I love Glastonbury because there’s always an amazing feeling playing there. I wish it could be Glastonbury all year round! I’m quite a hippie when I get there. I love to go to the Green Fields, because they’re cooking everything in these clay ovens, and it’s all fresh food. There are people who live in those fields all year round – and people whose lifestyle is just travelling from festival to festival – and they always seem like really chilled people and it’s a really alternative lifestyle to have. I love the music at Glastonbury, but I also love the culture side of it as well. So much has changed in the music industry, even just in the past six years. What positive changes do you see, personally? I think just to see so many more female artists out and about. There are loads of young women in their 20s who have grown up with feminism, and it’s normal for them to make their own beats, produce and sing their own songs. And they’ve no interest in trying to look like everyone else looks. So there are loads of really cool people who’ve come through, who I think make great music, and that’s a good change. And then I guess also the way that people get into music is so different: so many people just YouTube songs and stream songs, so there are lots of different opportunities to get in front of people as an artist.